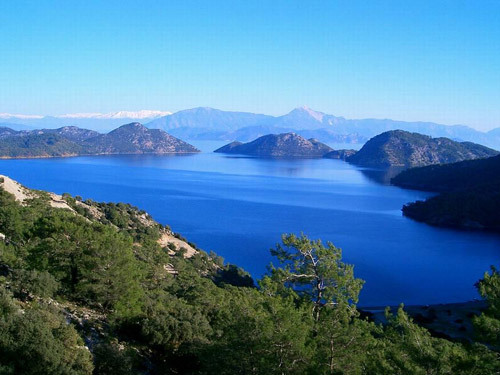 Secret Paradise is an area of outstanding natural beauty located on one of Turkey’s most southern points. 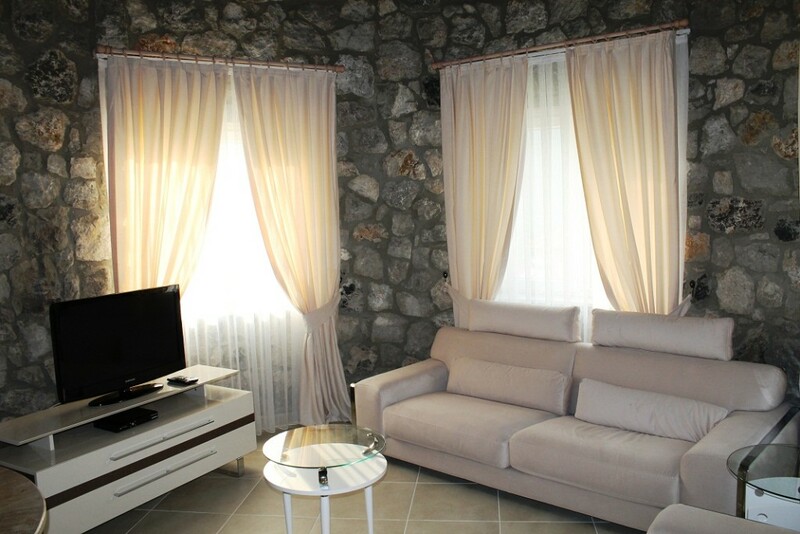 Secret Paradise Apartments have 104 sqm of living space and 15 m2 balcony and come with a separate fitted kitchen, 2 double bedrooms (one is en-suite and has a balcony), 2 bathrooms, and a large living room. 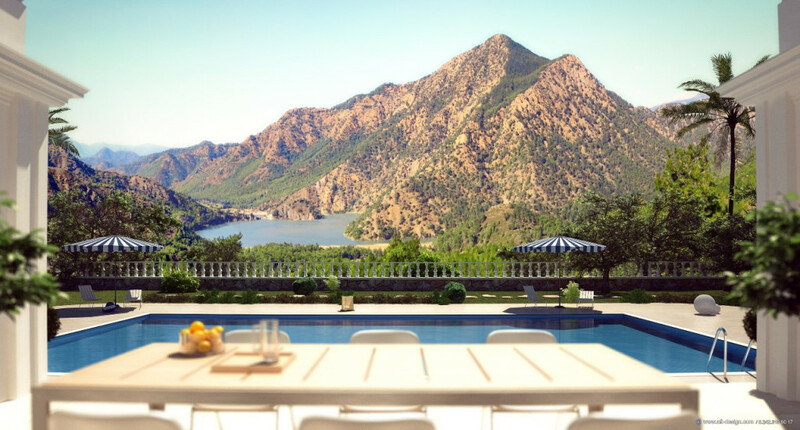 If you were to imagine the perfect location for a world-class resort, it would be the refreshing Secret Paradise in Dalaman, Turkey’s best kept secret. 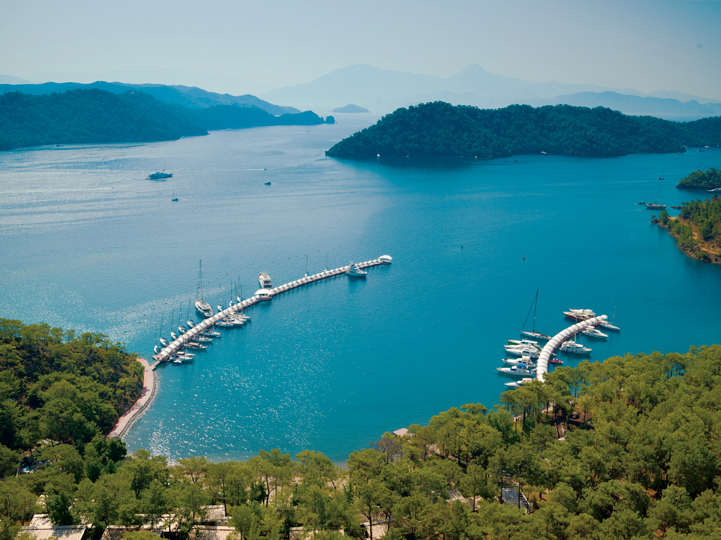 If you were to imagine the perfect location for a world-class resort, it would be the refreshing Secret Paradise in Dalaman, Turkey’s best kept secret. A remarkable destination that inspires an appreciation for relaxation, wellbeing and tranquillity. Elegant properties that blend in with the stunning landscape are scattered across this protected mountainous nature reserve. Here you can immerse yourself in the area’s serenity and natural charm, and admire the stunning views of the surrounding emerald lake which is set in a deep canyon formed millions of years ago.One of these luxury properties awaits you in this modern day wonder. You can be surrounded by lush vegetation that is habitat to a plethora of wildlife while residing in your very own dream home or holiday accommodation. The pure fresh air gives you a sense of being at one with nature. As well as being hidden away this stunning natural retreat has the added benefit of many beaches, shops, restaurants and bars all within a short drive. 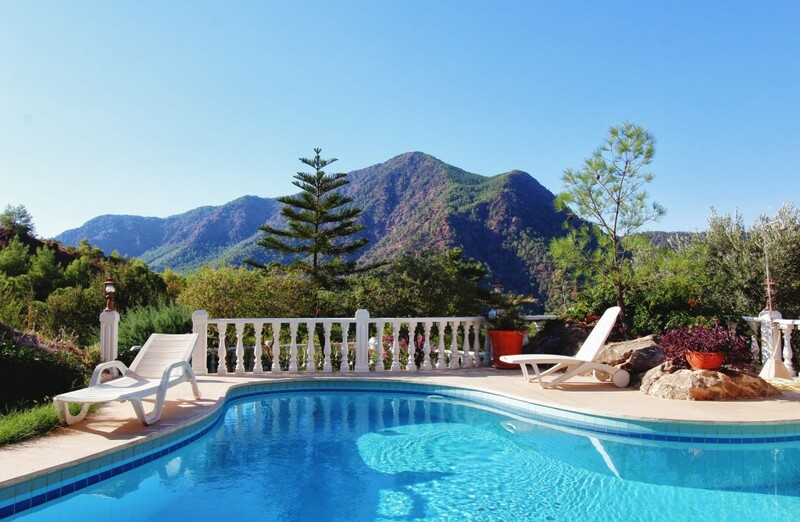 Secret Paradise is located on the stunning Turquoise Coast, the region of southwest Turkey between Marmaris and Fethiye, so-called because of the beautiful azure blue of its waters. Populated since prehistoric times, it is characterised by bays, beaches and olive groves and is famous for its hot springs, rock tombs and ancient Lycian ruins. Thanks to strict environmental protection laws it is now one of the last remaining unspoilt stretches of the Mediterranean. 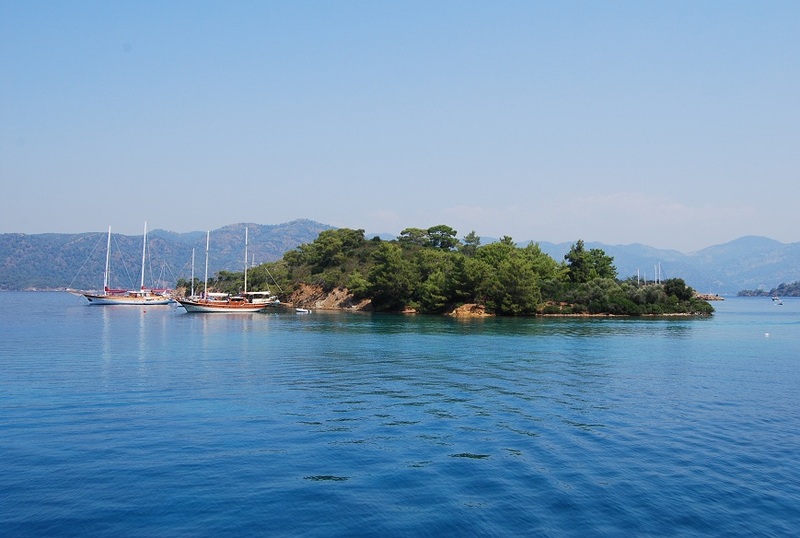 Here eco-tourism is leading the way forward; Loggerhead turtles nest on many of the areas pristine beaches and unlike much of the Mediterranean, each town on the Turquoise Coast still retains its individual character and allure. Set inland on the banks of the Dalyan River and approximately 20 minutes from Secret Paradise , lays the picturesque village of Dalyan, a peaceful holiday backwater unspoilt by mass tourism.The romance of this quaint village is heightened each morning as a fleet of small painted boats chug off down the river carrying holidaymakers to the glorious sandy beaches at the mouth of the River Delta. Starting from Dalyan Harbour they voyage throughbeds of bulrushes and pampas Bamboo taking 45 breathtakingminutes to reach the famous Turtle Beach – the entire Delta is a protected National Conservation area and is home to over 100 species of birds along with no less than three varieties of turtle, including the Loggerhead. The area is also famous for its natural hot water springs and mud baths. Secret Apartments located in Secret Gardens offer stunning properties of exceptional quality and value and of outstanding investment potential. 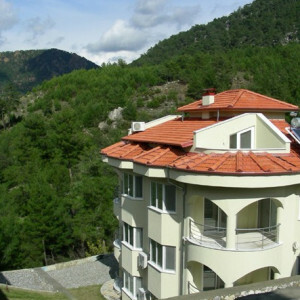 This development is designed to maximise rental potential and provide you with a luxurious lifestyle in magnificent natural surroundings with closeness to local amenities, a golf course and Gocek Marina. 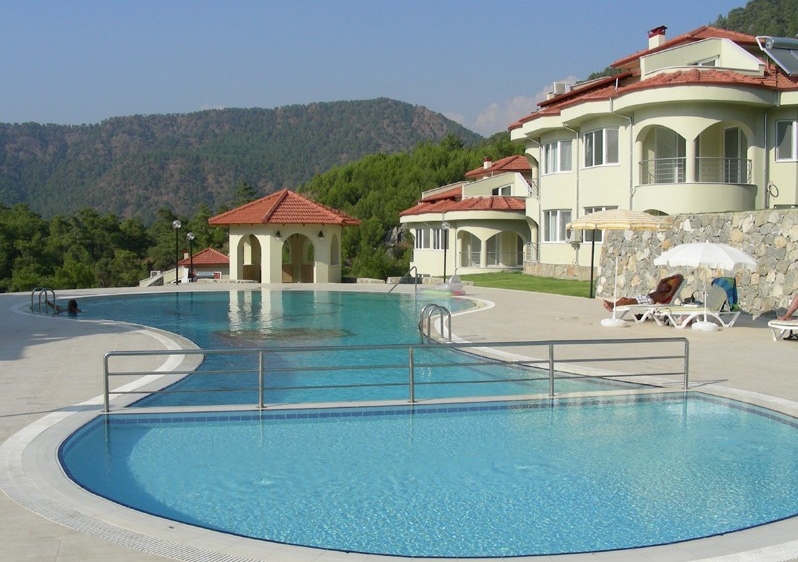 Also, Dalaman International Airport is just 20 minutes drive away. Secret Gardens – Apartments Secret Gardens has 3 blocks of apartments called Melissa (9), Jasmine (12) and Orchid (12).The corner apartments have 104 sqm of living space and 15 m2 balcony and come with a separate fitted kitchen, 2 double bedrooms (one is en-suite and has a balcony), 2 bathrooms, and a large living room with access to a semi-circled terrace from which you can appreciate great views of the pool, lake and the mountains. Secret Paradise is an area of outstanding natural beauty located on one of Turkey’s most southern points. 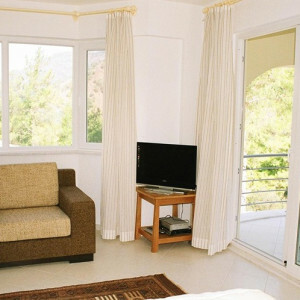 The mountain sides are covered with pine trees and olive groves providing natural shade and seclusion for the properties. 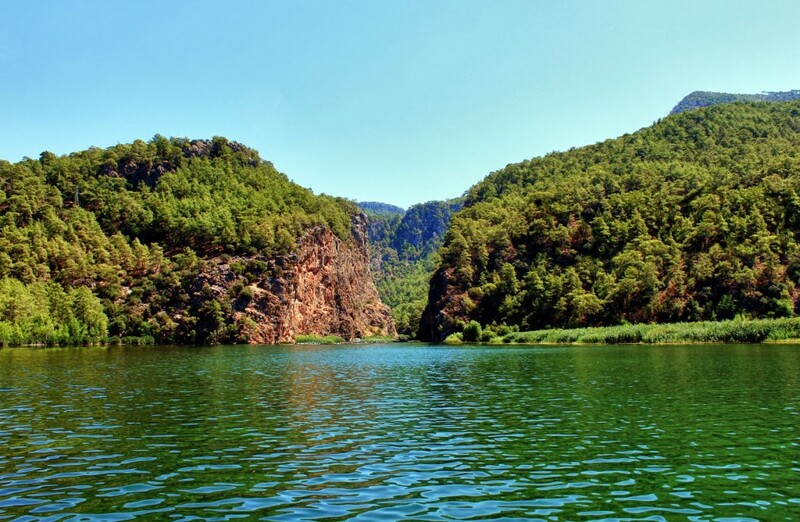 The Dalaman River winds its way down the mountains cutting through rock to form towering gorges. In the midst of this unique setting lies the resort of Secret Paradise nestled into the hillsides blending in with the natural landscape. Each small enclave of properties is secluded and shielded from others by the lush surroundings giving a feeling of privacy and exclusivity. Like all world class resorts, Secret Paradise boasts an abundance of on-site amenities and attractions. 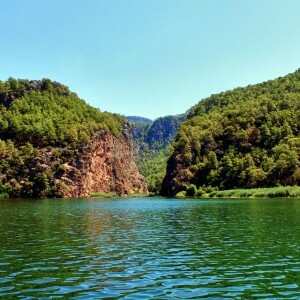 You can try your hand at horse riding in the new equestrian centre, canoeing in the emerald green waters of the Dalaman River, or perhaps a spot of trout fishing from your very own fishing boat. Whatever you choose this piece of luxury really does have a little something for everyone regardless of your age. After working up an appetite you have the option to pick your own fresh fruit and vegetables from the on-site organic farm and have them prepared for you in the informal Akkaya Garden restaurant, recently awarded the Trip Advisor 2013 excellence award. You can also enjoy a glass of wine made from the very grapes that grow in the Valley itself. Here you will be able to surround yourself in nature as many of the restaurants tables are set high above the ground in the surrounding trees, similar to sitting in a birds nest. Serving a fusion of Turkish, Asian and European food, there is something to suit all palates. 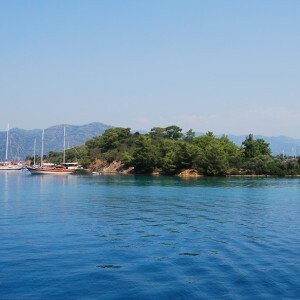 If this all sounds too energetic then why not amble down the Dalaman River on a boat cruise to your very own beach bar where you can just kick back, relax and enjoy a refreshing cocktail or a traditional Turkish meal in rustic, natural surroundings. Overlooking the resort and backdrop of the spectacular pine clad mountains of the Secret Paradise sits the exclusive Beverly Hills A custom built villas. Each spacious property has been meticulously designed to create a stunning fusion of classic roman architecture with contemporary flair. 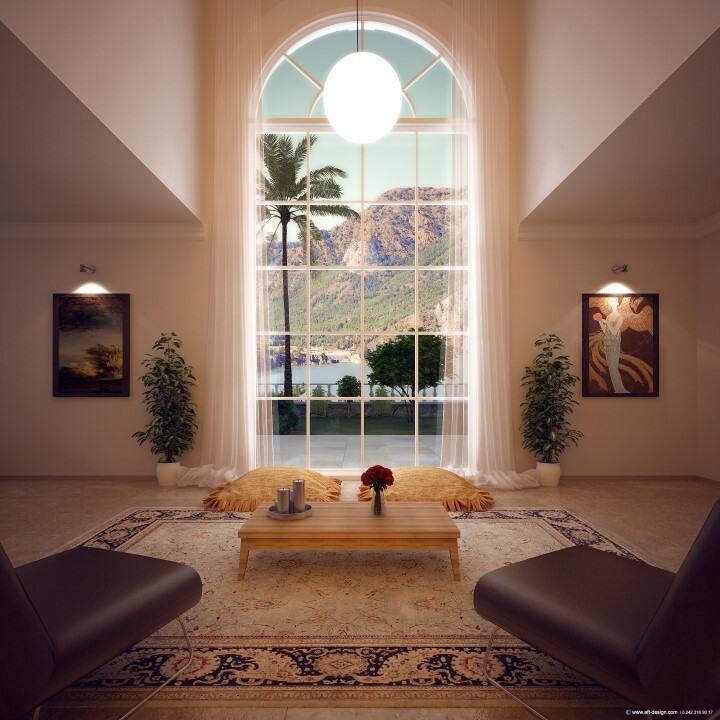 The warm and comfortable interiors are a class apart. Upon entry in to the lounge you will not fail to be amazed by outstanding views from the towering floor to ceiling windows and the spacious atrium. 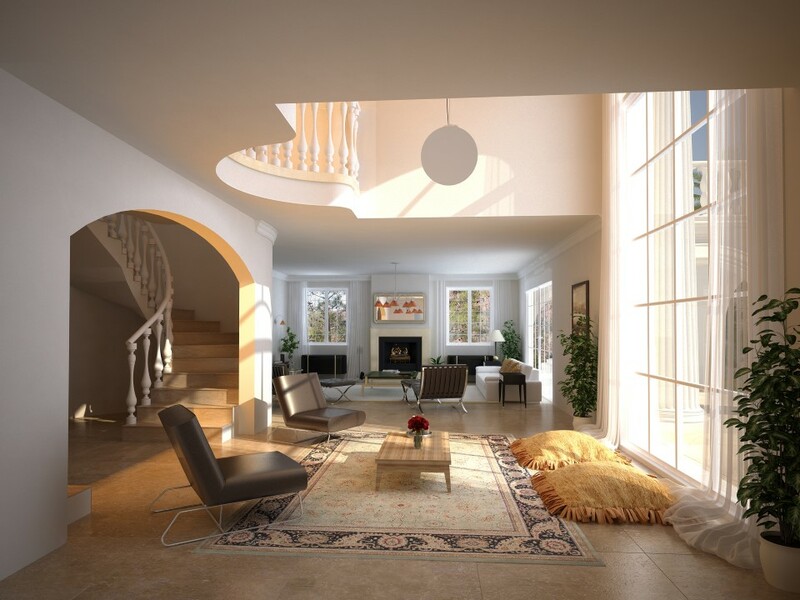 The lounge room makes a stately centre piece with high ceilings and double spiral staircase leading to the first floor. The sumptuous bedrooms offer glamorous views from their private balconies and are a sanctuary of calm and tranquillity. 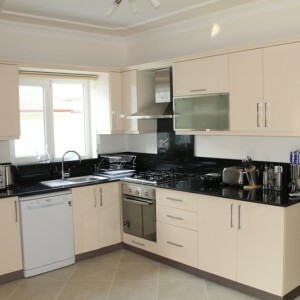 These properties also boast a private swimming pool, their own garage and are situated in beautifully landscaped gardens. The entire property including outdoor terraces offers 600m2 / 6458 sq ft of habitable area and each property will sit on its own plot of land of minimum 2000m2 / 21,528 sq ft. This exclusive development of luxury villas is just a short walk from the restaurant and central facilities of Secret Paradise . The 24 hour security and optional CCTV cameras means buyers can rest assured that they are safe in these natural surroundings. Surrounded by the spectacular pine clad mountains of the Secret Paradise and overlooking the resort are the Beverly Hills B custom built villas, which have also been meticulously designed to create a stunning fusion of classic roman architecture with contemporary flair. The interiors are warm and comfortable exuding both class and sophistication while the bedrooms are a sanctuary of calm and tranquillity offering glamorous views from their private balconies. Upon entry in to the lounge of these spacious properties your breath is taken away by the towering floor to ceiling windows and spacious atrium. 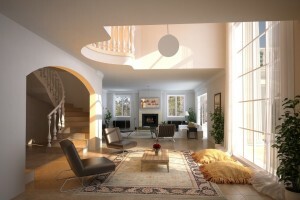 The lounge room makes a stately centre piece with high ceilings and double spiral staircase leading to the first floor. The entire property including outdoor terraces offers 420m2 / 4520 sq ft of habitable area and each property will sit on its own plot of land of minimum 1252m2 / 13,476 sq ft. These smaller, exclusive villas are superbly located in idyllic surroundings with a stunning lake view and each one boasts a private pool and their own garage. 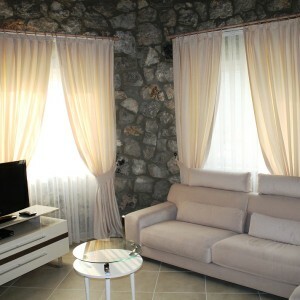 The properties are a short walk away from the restaurant and central facilities of the Secret Paradise . The 24 hour security and optional CCTV cameras means buyers can rest assured that they are safe in these natural surroundings. 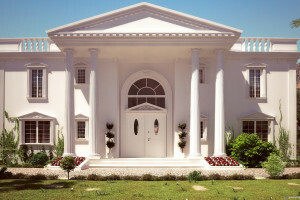 Beverly Hills – Secret Paradise from API INVESTMENT on Vimeo. These unique 200 & 180 m², 3-4 Bedroom Luxury Bungalow Villas comes with excellent size 45 m² kidney shape private swimming pool. 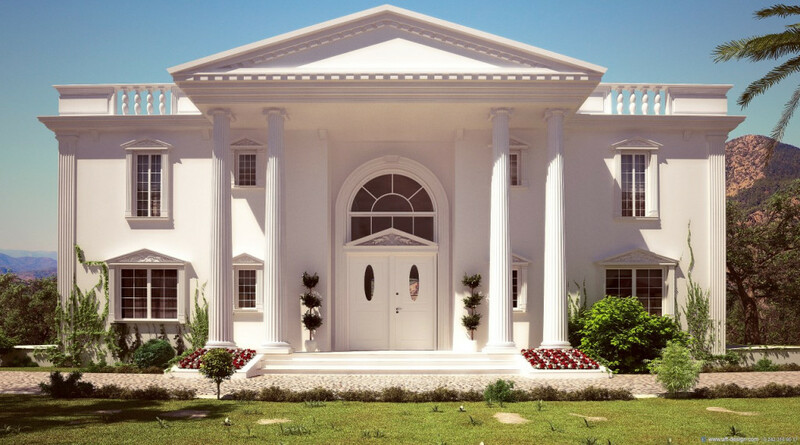 It is very high quality and has luxury furniture inside. 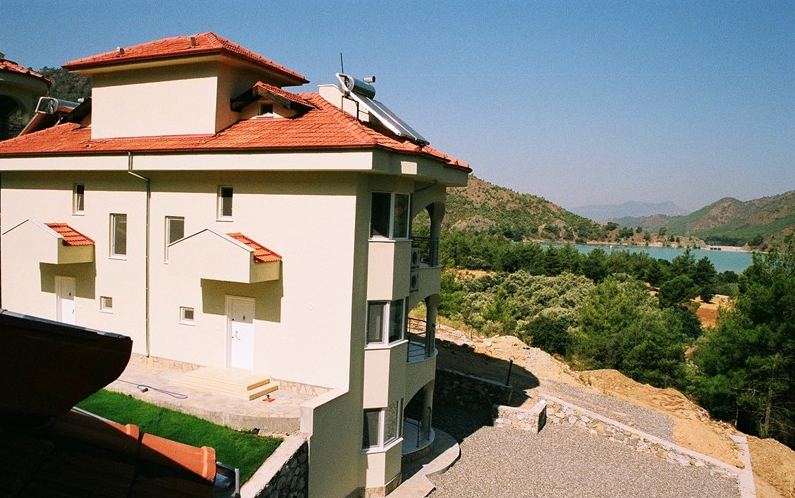 A fabulous brand new Villas located in the picturesque setting of Akkaya Mountain in Dalaman, Turkey. 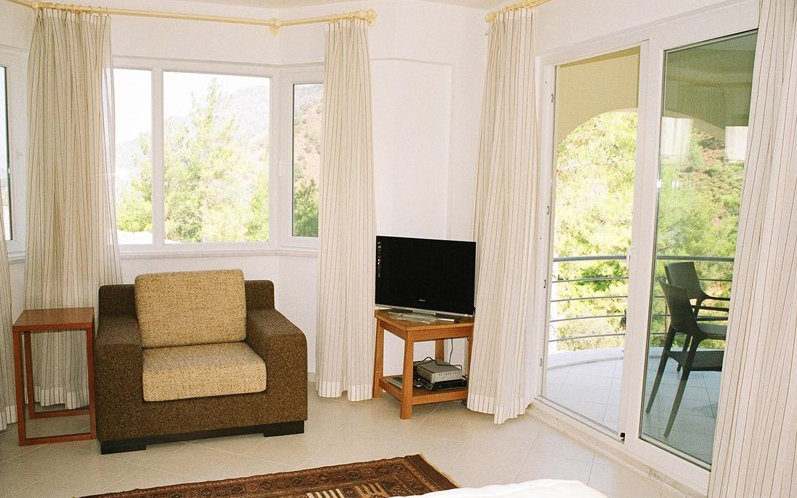 The property benefits from glorious lake and mountain views and is the ideal location for a relaxing holiday. 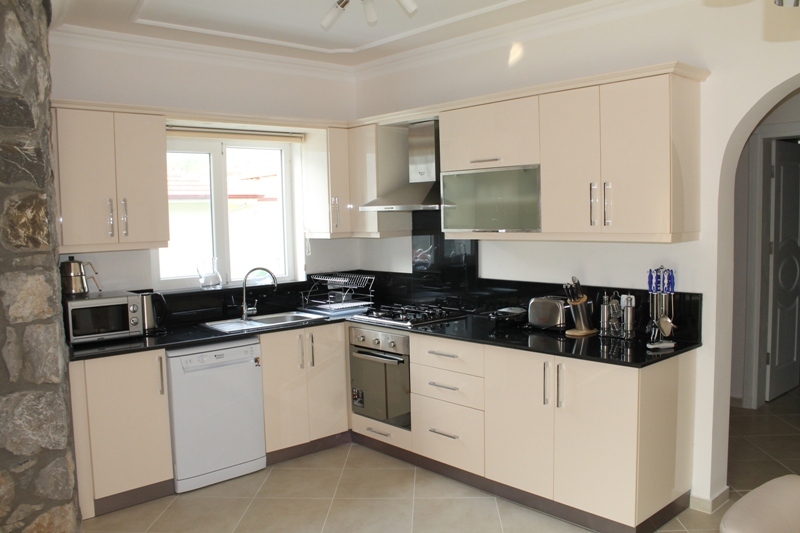 The Villas include a games room comprising of a pool table, dart board and table tennis. There is a restaurant 300 metres from the Villa that offers an extensive menu choice. 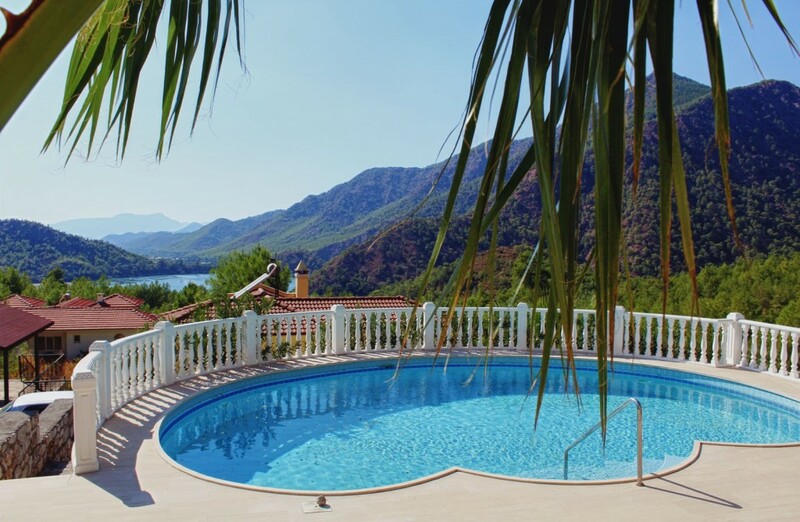 Situated only 17km from Dalaman Airport and 9 km from the bustling town of Dalaman, this property is an idyllic holiday destination. 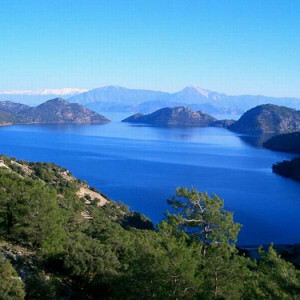 If you wish to explore some of Turkeys culture, then popular tourist attractions of Gocek, Dalyan, Sarygerme and Ephesus are within driving distance. Visits to the local Canyon are highly recommended and daily trips to all of these attractions can be arranged. The villas has 4 rooms in total and there is a different floor for guest, maid etc.. 4 of the rooms are double bedrooms with one en-suite master bedroom. There is also extra guest room and games room with a pool table inside. 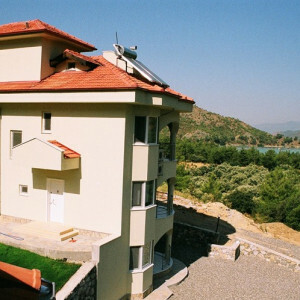 It is on the most beautiful part of Turkey and very close to 3 different beautiful beaches. 36 semi-detached villas were designed with the options of 3 and 4 bedroom villas, keeping you and your guests’ comfort in mind. They are the closest houses to the lake in two types, one has 126 m² living area, 3 bedrooms, 2 bathrooms, 1 WC villas and the other one has 176 m² living area, 4 bedrooms, 3 bathrooms, 1 WC, fireplace and a living room with open plan kitchen. 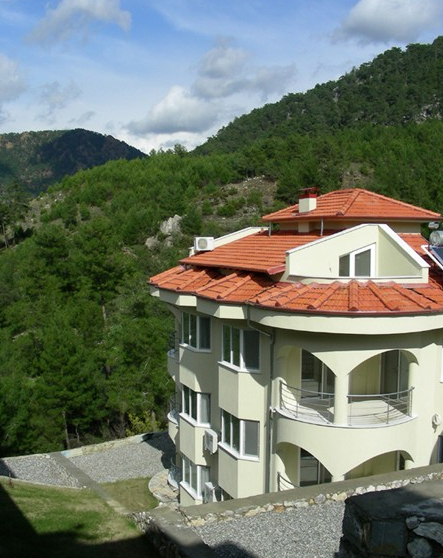 You won’t be able to saturate with the surrounding mountain and lake view while you swim in one of the 2 swimming pools. © 2019 Secret Paradise Turkey.